Since your home is where you tend to spend most of your time, you obviously need it to feel safe and secure. Undoubtedly, there are plenty of things that could cause problems in any home. However, the biggest problems by far are the ones that are roof-related. That’s why it’s important to do a roof inspection at least twice a year. If you’re not sure how to do a proper inspection, don’t worry, we’re here to help! In this article, we will be sharing with you 10 things you should look for when inspecting your roof for damages. The first thing you need to do is grab a ladder and climb onto your roof. Now look closely whether you can see any obvious damage. 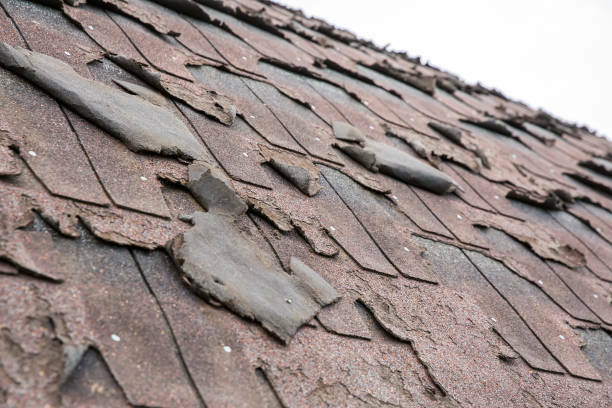 This includes missing or damaged shingles, rotting, curling, buckling, blistering, and algae growth. If you see anything that seems out of the ordinary, you should further inspect it. Basically, the best way to start your inspection is by visually inspecting for any abnormalities. Check for any loose material, cracks, worn out material, missing shingles, etc. Next, you need to check your gutters for any shingle pieces. If you find a large amount of them in the gutter, that means your shingles are pretty worn out and need to be replaced as soon as possible. If your roof has a granular asphalt surface, you will need to check your gutter for gable pieces. Over time, as your roof ages, so does the asphalt. It becomes very brittle and the granules keep falling off over time. If you find just a few pieces in the gutter, that’s not too worrisome. However, if there is a significant amount of granule in your gutter, then you will need to replace them immediately. The metal pieces on the roof that cover the area around chimneys, pipes, dormers, and vents. Ultimately, they are there to prevent any water damage. If your flashings are damaged or rusty, water can easily reach the interior of your home and cause damage to your walls. If you notice any leakage near or around your chimney, that’s a clear sign that you need to repair your flashings. While you’re up there inspecting the roof, do you feel like you’re walking on a spongy surface? If so, then your underlying decking is weakening from moisture. The drainage system is the final thing you should inspect on the exterior. If you notice that there is a lot of water that’s simply not going away, then the first thing you need to do is check for any obstructions. You may just need to clean the drain. However, if your drain is clean, then you may need to snake the downspouts and drain pipes. If you don’t take care of this problem, it will lead to serious roof damage. After you’ve thoroughly inspected the exterior, it’s time to move on to the interior. You will need to climb to your attic to check for any leaks. Now, leaks can be quite subtle and difficult to notice. Basically, if you see any water in a place where it shouldn’t be, no matter how much there is, you’ve probably got water damage. Check for any water stains, mold, and rotting wood. If you locate any of these things, then it’s time to call in the professionals. 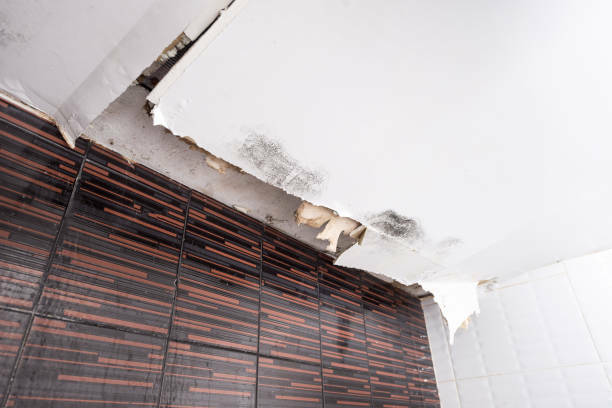 If you keep seeing water stains on your ceiling after it’s been raining, then you obviously already have water damage. But there is a silver lining. You won’t have to look too far for the source of the leak, as it is most likely located directly above the water stain. However, if that’s not the case, inspect the entire surface above the water stain. 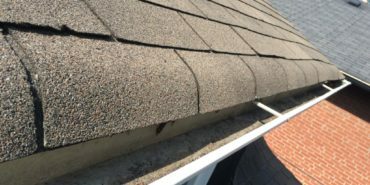 The water may have traveled from one side of your roof to the other, and the source of the leak might be difficult to locate. Preventing water damage is essential. If you just ignore the problem, you’re opening the door for some serious damage. It’s very likely that you won’t be able to locate any obvious signs of roof damage. If you don’t have any water stains on your ceiling, then you still need to check the woodwork in your attic. If you notice that some parts are moister than others, this may be cause for concern. Check out the roof above the moist area to see if there are any water stains or water droplets. The best way to see if there are any cracks in your roof is to go to your attic during the daytime. If you see any light through tiny holes above you, that means your roof is cracked. There’s no need to explain why this is a huge problem. If heat and moisture tend to build up quickly in your attic, then you need to check your ventilation. Check to see if the ridge vents and louvers are blocked. You need to make sure that your attic has proper ventilation at all times, even during the winter. What should you do if you have roof damage? Overall, if you’ve noticed any of the things we’ve mentioned on your roof, or even if you haven’t but you’d still like to get it checked out, we’re here to help. 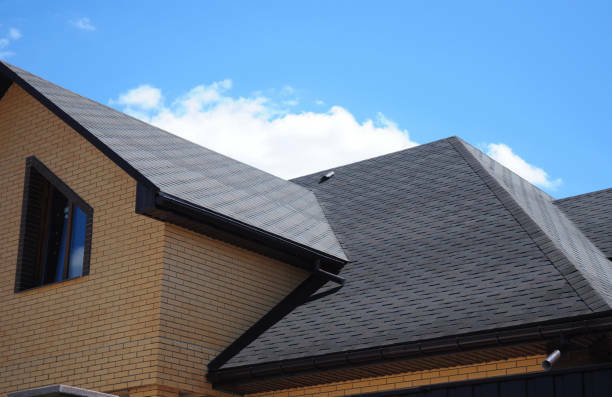 Here at Prime Roofing, we pride ourselves on being a professional roofing service that you can trust with all things roof-related. Our Florida based roofing company has a continuous five-star rating, and it’s easy to see why. We never use subcontractors and we hire only the best of the best. All of our employees undergo extensive background checks before becoming a part of our team, which is why we can assure you that your roof will be repaired by professionals. At Prime Roofing, we know that roof damage is a serious problem. Don’t wait until it’s too late. The safety of your home should be your first priority, so contact us at (904) 530-1446. Let us help you make your home the safest place it can be. They went above and beyond. Some of my neighbors have also had roof work done by them as well.